Hello lovely readers, summer is here and that means it's getting warmer and we get to wear less clothes. Always a good thing if you ask me. So today I thought I would share with you the clothes/accessories you need to have for summer. I've also included a few of each staple that I'm currently lusting after. I think it's lovely wearing floral prints in summer, it elevates your mood and if the weather is not playing fair at least you are wearing something that will remind you of the summer. 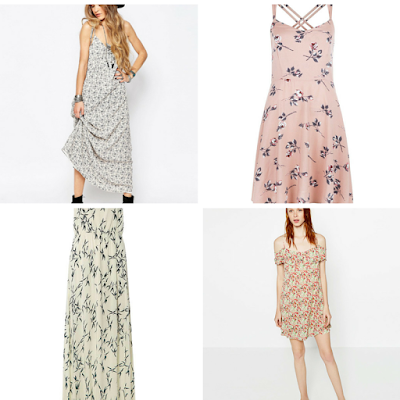 I think a floral dress is also a great way to give a nod to the 70s. Bit of an obvious one but you can't beat a good pair of denim shorts in the summer time. They are just so comfy and versatile. 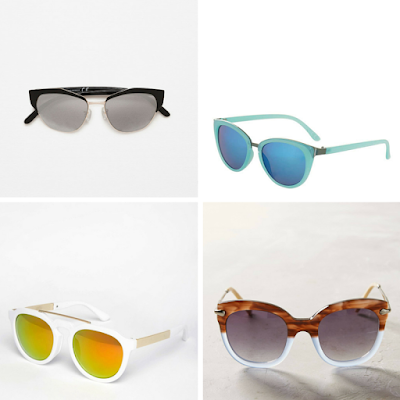 It's so important to make sure your eyes are protected and let's face it shades are not boring any more. They now come in all shapes, sizes and styles and it's awesome. A pair of sunglasses can either add just the right touch to an outfit or can be the talking point of it, it's up to you. 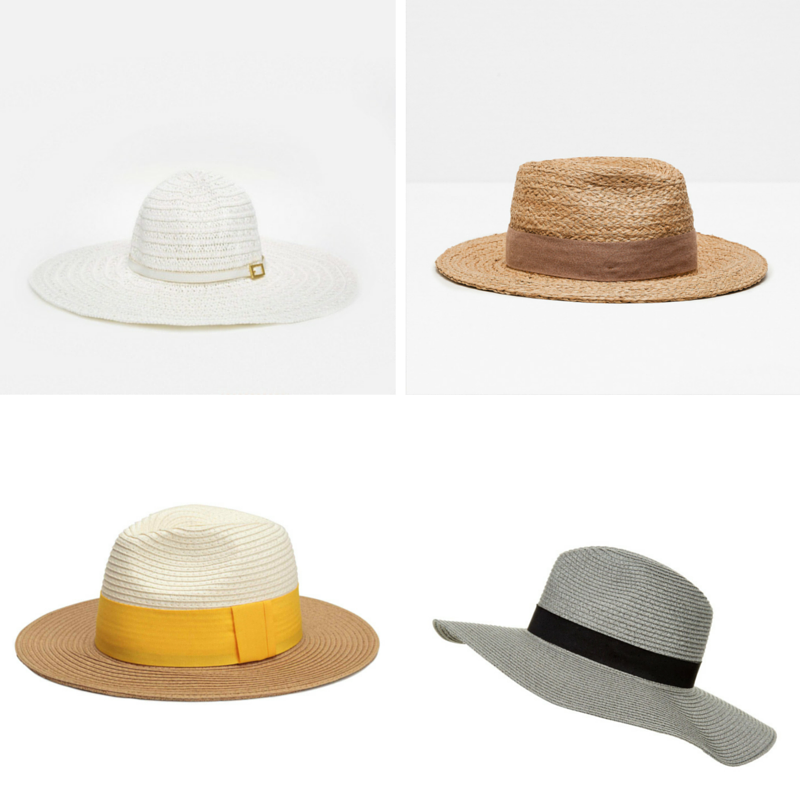 Hats are are a great way to accessorize an outfit and keep your head out of the sun. 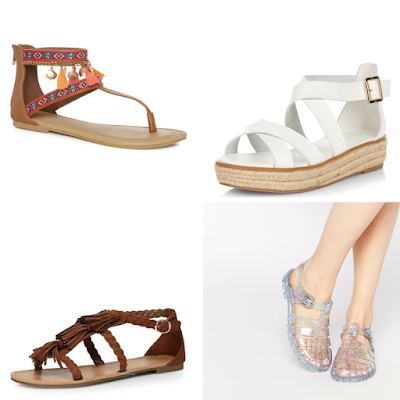 You can't beat a good pair of sandals in the summer, they go so well with everything. So those are some of the staples I think you need for your summer wardrobe. Do you like any of these? 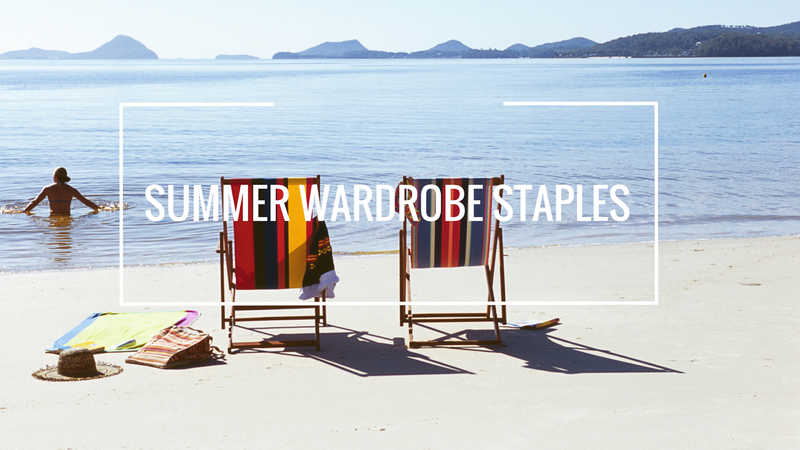 What staples are in your summer wardrobe? You can't beat a good floral dress! I'm sure hats look great on you! Thanks for dropping in. I love all of these, they're so great for the summer. I love to wear floral dresses all year round - I just add tights and a cardigan when it gets a bit colder! Great post! I'm the same I love how floral dresses look good both for summer and winter. Thanks for stopping by lovely! Hey Ella! Great post! I was literally going through all of those like "check, got that, check , check" haha! I guess I'm all ready for summer!! Haha I actually need to pick up some of these bits! Thanks for dropping in! I love Levi demin shorts but I agree they are so expensive! Thanks for stopping by lovely! I was going to buy those Primark denim shorts on the top left when I was last in there, but they were completely sold out in my size - so annoying!! Oh no that's so fustrating when that happens! Thanks for dropping in! All these items are definite must-haves for summmer! Can't live without my sunglasses or denim shorts when it's hot! I'm the same I love a good pair of shorts and shades for summer! Thanks for dropping in lovely!